Click here to send your lawmakers a message: I hope you vote “yes” on HB 2607 this session, because it’s our chance to transform the landscape of 21st-century education in Hawaii by 2019. Next week, policymakers will conference around HB 2607: the computer science education bill to give more Hawaii students a fair chance to pursue computer science education, from grade school through high school and the workforce. While our elected officials deliberate during conference, they’ll ultimately form their decisions on whether or not the bill becomes a law. Now is a pivotal moment for them to hear a groundswell of community support for access, equity and quality in Hawaii computer science education. Click here to send your lawmakers a message: I hope you support HB 2607 this session, because it’s our chance to transform the landscape of 21st-century education in Hawaii by 2019. 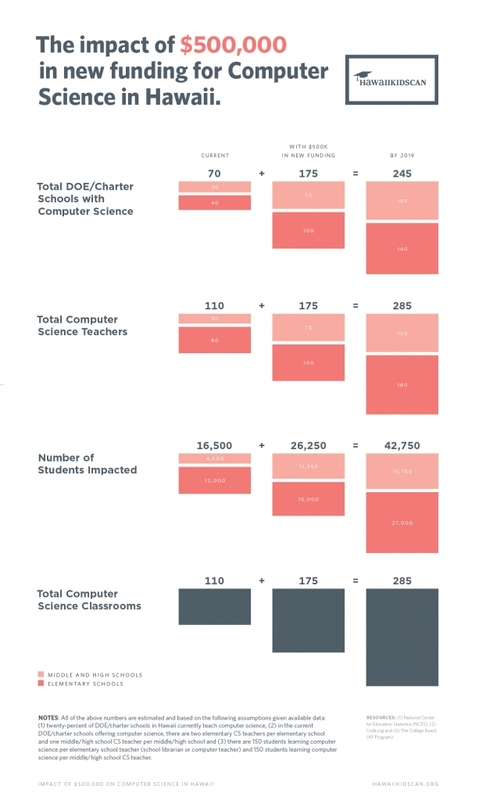 Increase access to high-quality computer science education, especially for students who are disproportionately underrepresented in STEM classrooms and workforces. How much do lawmakers think that’s worth? What impact could a real investment make? 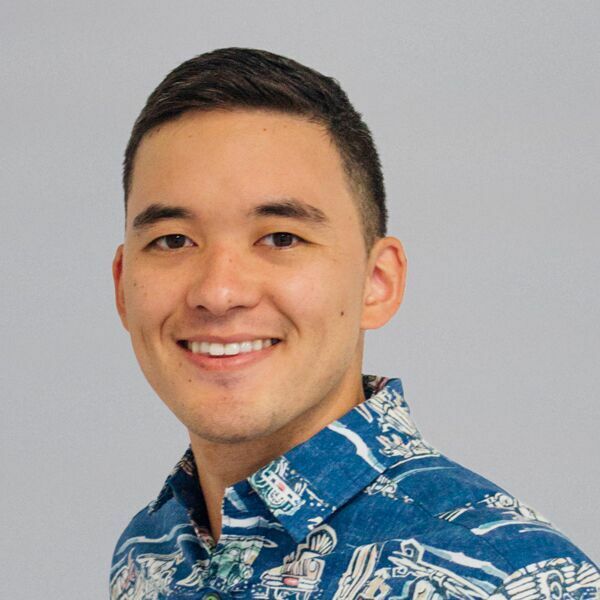 We wanted to know the short-term potential of HB 2607–so our partners at Code.org helped HawaiiKidsCAN crunch the numbers on a hypothetical investment in the bill. It turns out, by putting $500,000 behind HB 2607, the Ways and Means Committee would create the potential for Hawaii to double the number of computer science classes that students can take by 2019, and the number of highly-qualified computer science teachers to lead those classes. Altogether, that investment could remove barriers to STEM learning for 26,000 students across Hawaii by 2019. That’s just the beginning if we achieve this policy milestone this month. The future gets closer every day, and Hawaii won’t be ready to pioneer in the world of tomorrow unless we prepare the next generation to be the pioneers. This is especially true in terms of equity, as female students represented just 32 percent of exam-takers in Advanced Placement computer science last year. Only four of the 14 public schools in Hawaii that even offer AP Computer Science were eligible in 2017-18 for Title 1: funding for schools that serve high numbers of students from low-income households. You can learn more about that number in our State of Computer Science in Education 2018 report. Every student in Hawaii needs the chance to learn the computer science skills that will drive our new economy. We can make that happen. Mahalo for being along for the journey, and for all that you do.